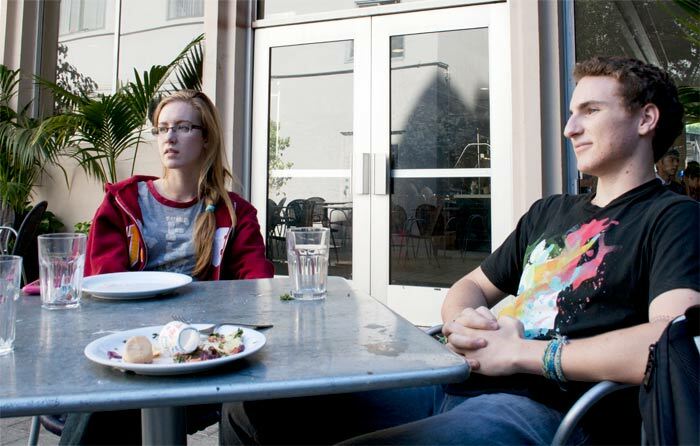 USC’s administration is attempting to keep up with the student demand for sustainable food. Administrators intend to implement programs to reduce USC’s dependence on long-distance food suppliers and improve the university’s green food practices, such as committing to buying local California dairy and produce. “A lot of students are focused on the issue of sustainability. The big thing right now is creating awareness and then creating a process to follow up on this enthusiasm,” said Kris Klinger, director of USC Hospitality. USC Hospitality, which is in charge of purchasing and managing the food at the different eateries on the university’s campuses, has adopted a number of new programs in recent years to keep the university moving toward a greener future and to address the growing concern of students. The trayless dining initiative, started in the fall of 2008, has been one of the more successful sustainability programs. According to Klinger, the program has already reduced food waste 20 to 30 percent. By going trayless, USC has also cut down the number of dishes and trays that need to be washed. 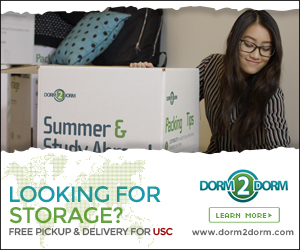 Additionally, since 2009, there has been a large movement at USC to donate foods like produce and other perishable items to the Los Angeles Mission, while non-perishables are kept refrigerated or frozen. Both of the main residential dining kitchens — Parkside and EVK — have also had their own food pulpers for the last five or so years. Having a pulper means 100 percent of post-consumer waste at both of these locations is mulched and used for fertilizer or other organic products. Yet one of the biggest concerns for students isn’t where the food is going, but where the food is coming from. Though some students might feel USC does not consider where or how its food is produced, USC is, in fact, rather conscious of where its food comes from. “When it’s brought to our attention that animals have been treated inhumanely, we will do something, like with our Seafood Watch and cage-free eggs programs. However, this issue hasn’t elevated to the top of our list,” Klinger said. USC receives approximately 6 percent of its food and beverages from local producers, according to Klinger. It uses the same couple of dozen vendors on a daily basis. To keep up with growing demand for local and organic food, USC is now committed to using dairy produced only in California, serving cage-free eggs and supporting as much local seafood and produce as possible. “We are creating a purchasing platform to make sure we maintain sustainable seafood, cage-free eggs and California dairy. 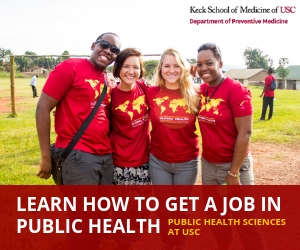 This has been our focus for the past couple of years, and last year especially,” Klinger said. Although it might be more expensive to switch to local producers and greener methods of food production and consumption, USC is trying to offset this increasing price tag by implementing new programs — such as trayless dining — that reduce other costs. Because USC has to feed an entire community and there are many changes to consider, becoming a greener campus will not occur overnight. “[Being sustainable] is a process. It will evolve over time,” Klinger said. Where’s the true “green” option on campus… I can’t find any good/ true vegan option on campus… Most of the hospitality guys don’t even know that vegan doesn’t consist of cheese… Also in RTH, they prepare the so-called vege sandwich on the same cutting boards, on which they prepare non-veg sandwich… I ended up canceling the order as the board was filled with animal remains, they don’t even clean it… Well, why does USC not care much for its vegan/ vegetarian community????? Oh really. Ask any worker in the cafeterias and they will tell you all the clean up from broken glasses and dropped plates is not worth the hassle.